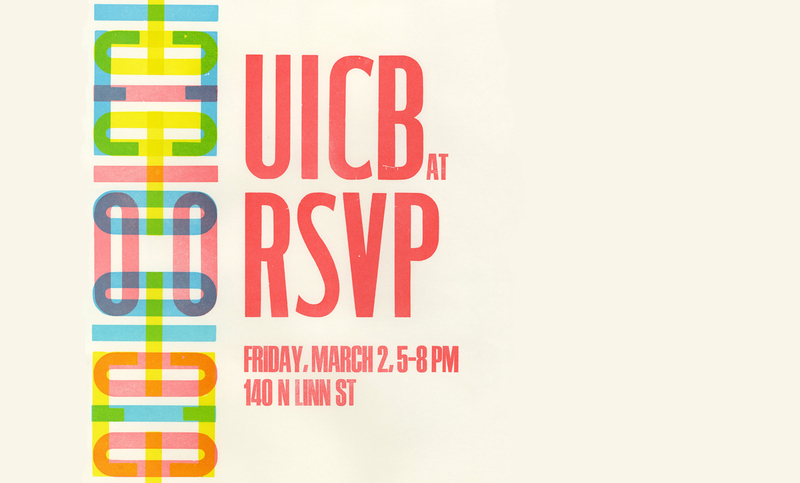 RSVP will again host the UICB during the 2018 Spring Gallery Walk. Stop by 140 North Linn Street on Friday, March 2nd, during the exhibition opening reception (5:00pm–8:00pm) to see new work from the University of Iowa Center for the Book. For more information about the Gallery Walk program, check out the Iowa City Downtown District website.